Dell'Oglio is a family history, it is my history. It is the history of a city, Palermo, and of elegance as the expression of one's personality. In 1890, Santi Dell'Oglio, my great grandfather, together with his brother in law, Mr De Manuele, opened our first shop. An emporium of luxury items, Via Maqueda 212, at the Telegraph deparment stores. In the early years of the new century Santi decided to dissolve the partnership and carry on the business by himself opening a shop at Via Maqueda 357 in front of La Madonna Bella. These were the years of art nouveau Palermo Felicissima, and Mr. Dell'Oglio was to advise and guide the nobility and the upper middle class in their choice of hats, shirt collars, gloves, shoes and the best fabrics to realise tailored clothes. Mario Dell'Oglio, the son of Santi, joined his father, and in 1933 inaugurated a new shop at Via Maqueda 389 on the ground floor of the historic Palazzo Mazzarino, mentioned for its beauty in the pages of “The Leopard”. 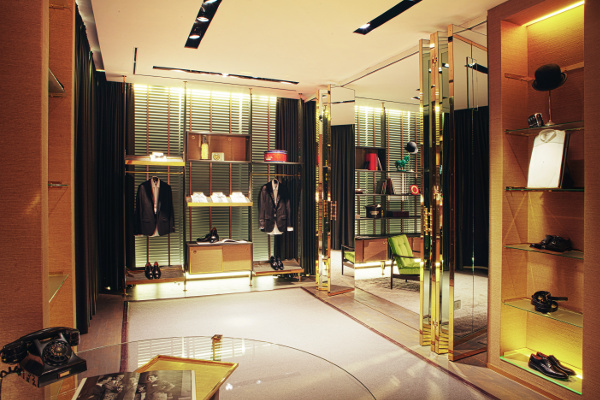 In a short time the shop was acknowledged as one of the most elegant shops in Italy. Mario extended the range on offer personally choosing British products and designer items like Battersby, Lock and Stetson hats and the French Mossant. Amongst the most loyal customers was Vincenzo Florio - the owner and founder of the Florio dynasty, the most important industrial family of Palermo - who from the shop in Via Maqueda bought stylish garments, many of which were personalized and tailored. 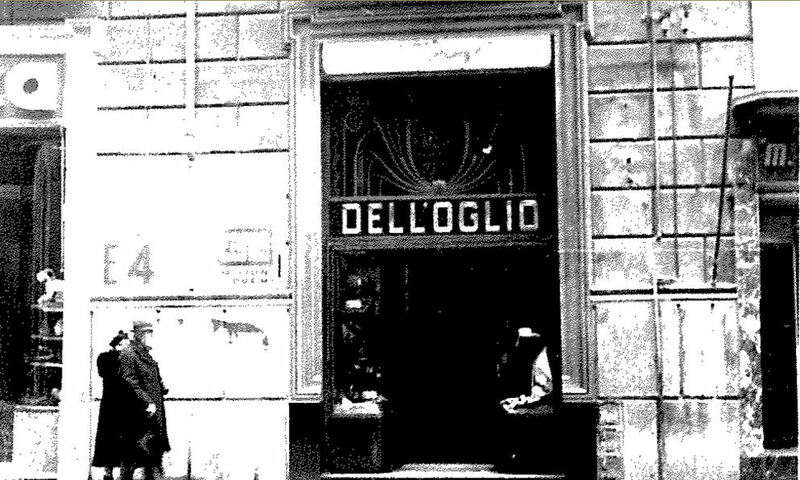 My father, Vincenzo Dell'Oglio, who played a significant role in the company, in the '50s decided to open a new store in Via Ruggero Settimo. Dell'Oglio on Via Ruggero Settimo is the store that today represents the company's history with a contemporary proposal of updated classic items and continues to be the benchmark of Palermitan elegance. In the early 90s – bearing the name of my grandfather, after studying economics and a period of teaching at the university – I decided to accompany my father in the management of the company. With myself, a phase of renewal began, once again marked by the opening of a new store in Via Enrico Parisi. In the shop at Via Parisi, respecting the classical tradition, Dell'Oglio opened to a younger clientele. 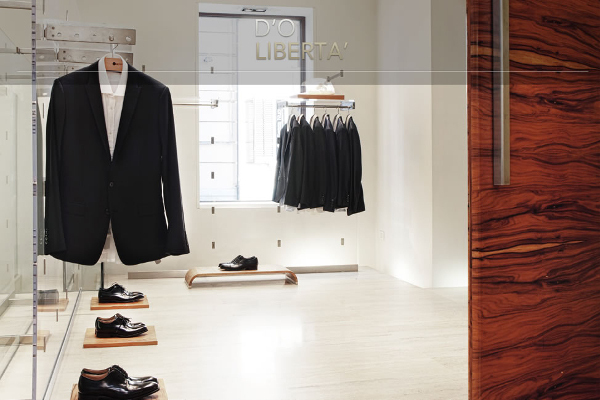 In 2000, I inaugurated, in via Libertà – the most beautiful street of the city – D'O Libertà, introducing to Palermo the idea that clothing is closely linked to the design, and for the first time Dell'Oglio made a debut in the world of Woman's Fashion. Since 2008, women are the absolute protagonists of D'O Donna the new store opened in the very central Piazza Castelnuovo. In an ethereal, almost mystical, atmosphere, built on the meaning of conceptual fashion, D'O Donna is the shop where women find their own way of being, to show themselves off and dress with elegance and character. Today in our stores we are aiming to make our customers live an experience that makes them feel in the middle of a service of class targeted to the choice of those things that can enhance professionalism. Anyone who enters our store must feel surrounded by the values that have always distinguished us: tradition, elegance, exclusivity, reliability, passion, competence. I like to believe that entering a Dell'Oglio shop you can always recreate the feeling of talking to Mr. Dell'Oglio with the tradition of exclusive care and the expertise of today. Explore our stores in Palermo.